Three-quarters of America’s teachers have students who routinely show up to school hungry and half say hunger is a serious problem in their classrooms, according to No Kid Hungry’s annual educator survey. The numbers represent a significant jump from last summer, when about three in five teachers surveyed routinely taught hungry kids. The report also notes that free- and reduced-price breakfast programs are hugely under-enrolled. 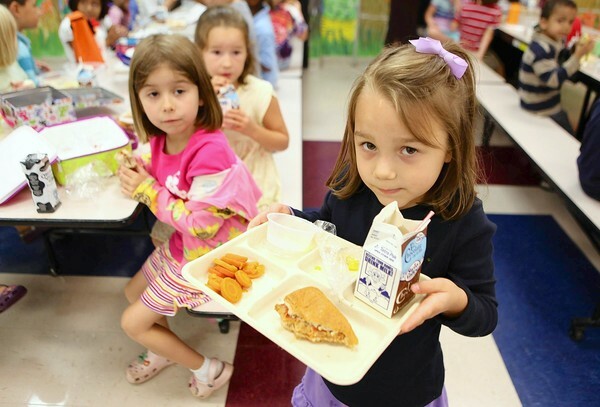 Twenty-one million kids eat school lunch, but just 11 million eat school breakfast. Previous research has shown that child hunger has a profound impact on educational achievement. Closing the school breakfast gap by just half would produce over 3 million kids with higher test scores and over 800,000 more high school graduates. Hungry kids are at far greater risk of emotional and psychological problems that undermine their education, are far more likely to drop out of high school, and struggle to keep up with the cognitive development of their adequately-fed peers. Read More Child Hunger So Common That Three-Quarters Of Teachers Have Hungry Students | ThinkProgress. This entry was posted in News from the Soul Brother and tagged education, hunger, Reduced price meal, School meal, Teacher, United States. Bookmark the permalink.